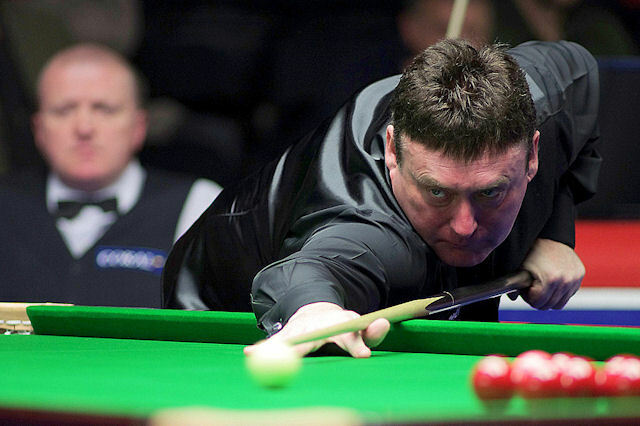 Jimmy White produced flashes of vintage form as he booked his place in the second round of the Coral UK Championship with a convincing 6-2 win over fellow tour veteran Dave Harold. The Whirlwind made a high break of 110 as he won the last four frames without reply to secure a match with Ding Junhui in the last 64 on Saturday afternoon. White, who clinched the 1992 UK Championship by beating John Parrott in the final, is now looking forward to testing himself against one of the best players in the world. “I play the game to play against the top players,” he said. “Ding is one of the top four players in the world alongside O’Sullivan, Robertson and Selby so it’ll be good to have a crack at him. “I’m playing ok but it’s about getting it together on the day. If I play my top game I can beat anybody. Obviously I have to play really well to beat Ding but that is what I play for. “The first frame was a bit scrappy and I played ok to go 2-1. Dave made a 77 to go 2-2 and then I played ok in the second half. Ding eased through his opening round match against Irish amateur John Sutton, making top breaks of 56 and 59 to complete a 6-0 victory. After winning five ranking events last year, the Chinese sensation hasn’t fared too well in the full ranking competitions this season, only qualifying for the Shanghai Masters. “It is difficult to keep your game at a high level like I did last season,” said Ding. “I didn’t start well this season but I’m trying to get back to my best form. Winning today’s match was needed to build my confidence. “I didn’t play really good but you’ve got to be very careful in the first round because I lost in the Wuxi and International Championship qualifiers. 18-year-old James Cahill pulled off the biggest shock of the tournament so far as he whitewashed former UK semi-finalist Mark King. The Blackpool-based player, who also beat John Higgins earlier this season, made a top break of 84 in the match and faces Andrew Higginson next after he beat Tian Pengfei 6-3. Another seed went tumbling as Crucible quarter-finalist Dominic Dale lost 6-4 to former world number 10 Tony Drago. The Maltese player capitalised on an under-the-weather Dale, who was struggling with illness. Nuneaton-based Matt Selt whitewashed Hammad Miah 6-0 while a 109 break helped Mike Dunn to a 6-2 victory over Welshman Andrew Pagett.